WEDNESDAY, NOVEMBER 29TH, 2017 - 10:00 A.M.
1. 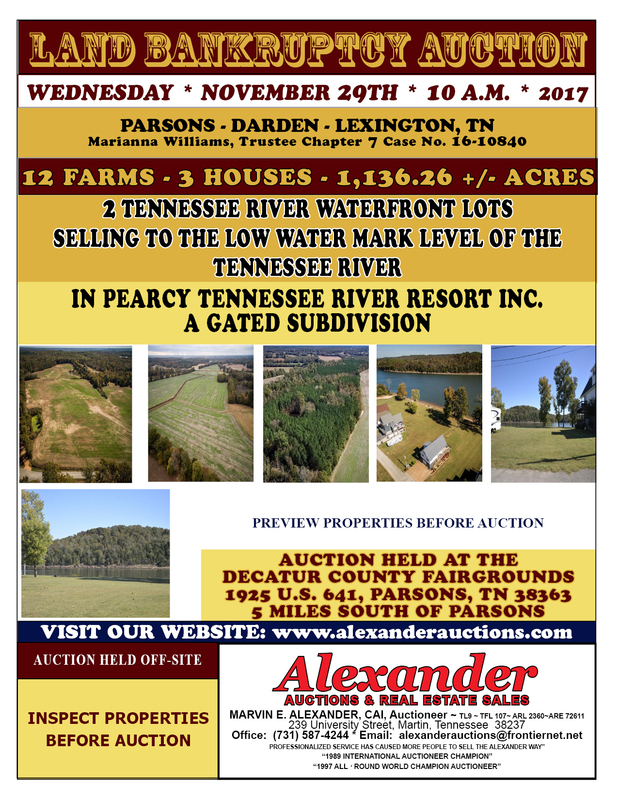 ALEXANDER AUCTIONS AND REAL ESTATE SALES HAS BEEN COMMISSIONED BY MARIANNA WILLIAMS, TRUSTEE TO SELL THIS PROPERTY AT PUBLIC AUCTION. 2. 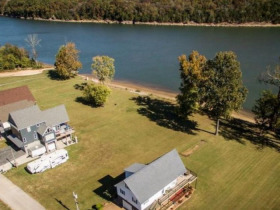 REAL ESTATE CONSISTS OF 12 FARMS, 3 HOUSES, 2 TENNESSEE RIVER LOTS LOCATED IN THE CIVIL DISTRICT OF DECATUR AND HENDERSON COUNTIES, TENNESSEE. 3. 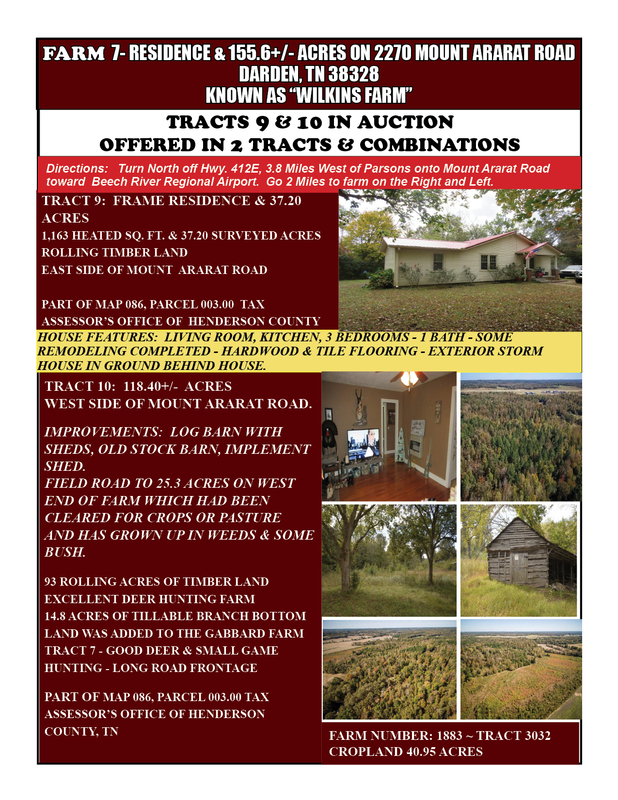 PROPERTY OFFERED IN INDIVIDUAL FARMS, TRACTS, AND COMBINATIONS. 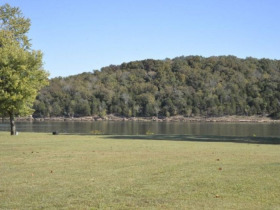 2 - WATERFRONT BUILDING LOTS IN PEARCY, TENNESSEE RIVER RESORT INC. PHASE III, DECATURVILLE, TENNESSEE, 38329. 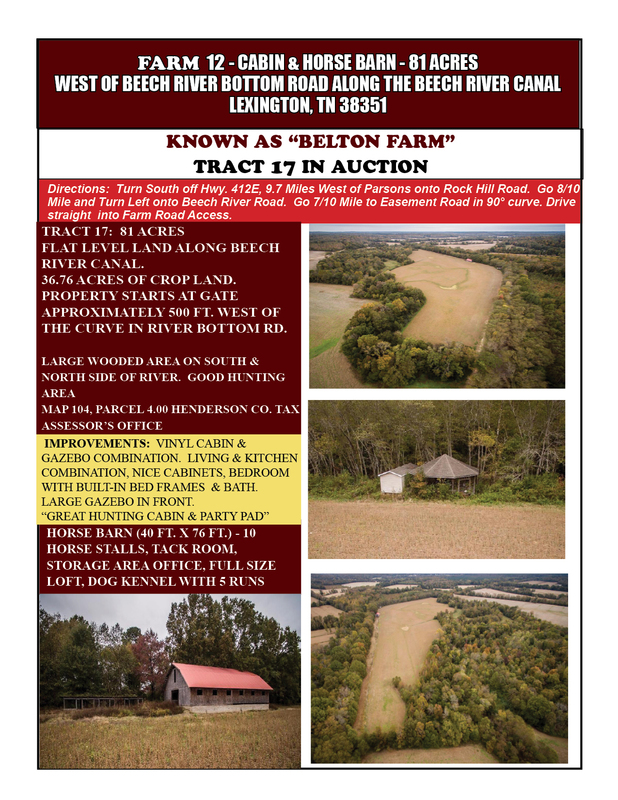 THE KEETON FARM WILL NOT BE COMBINED WITH OTHER FARMS OR TRACTS. 4. 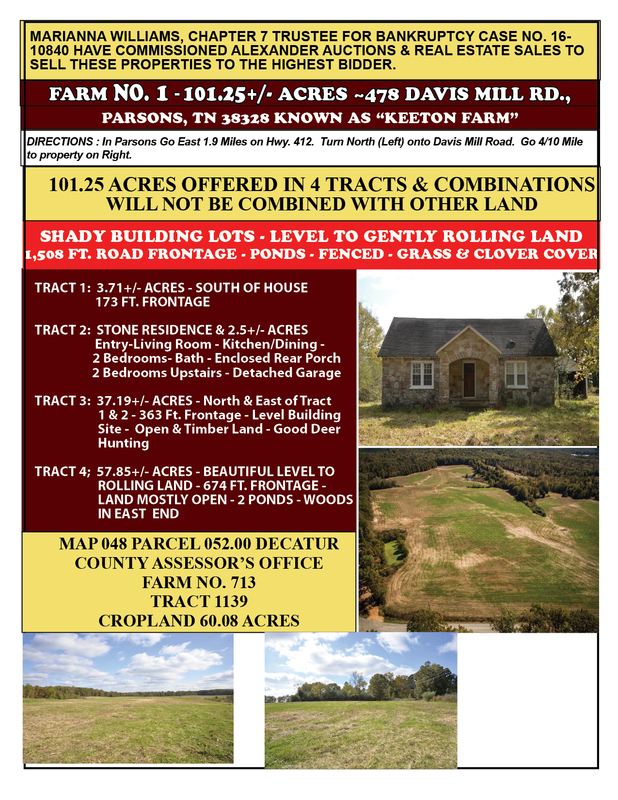 TAX MAP AND TAX PARCELS IN DECATUR AND HENDERSON COUNTIES, TENNESSEE TAX ASSESSOR’S OFFICE ARE LISTED IN EXHIBIT NUMBER “1”. 5. SOME TRACTS HAVE SURVEY DESCRIPTIONS AND OTHER TRACTS HAVE METES AND BOUNDS DESCRIPTIONS. 6. 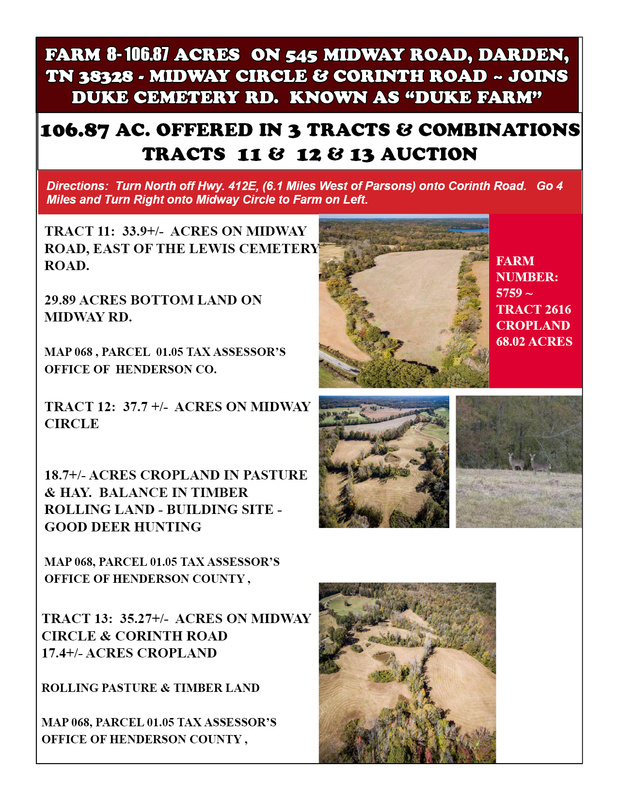 IN THE EVENT ANY TRACTS IN A CERTAIN FARM SELL SEPARATE AND DO NOT HAVE A SURVEYED DESCRIPTION ACCORDING TO THE WAY THEY ARE DIVIDED, AN ACTUAL SURVEY OF THE DIVISIONAL LINE WILL BE RUN BY A SURVEYOR TO CALCULATE THE ACTUAL ACREAGE. 7. 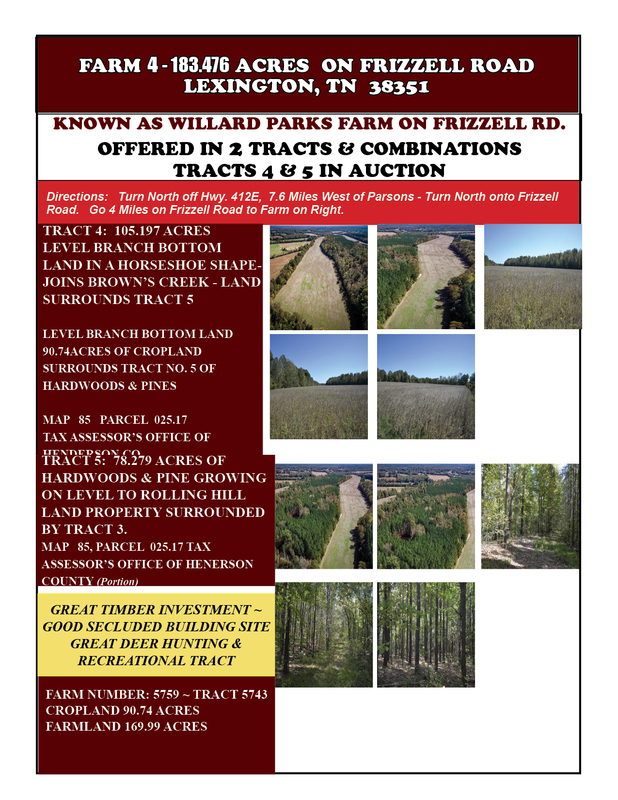 THE ACTUAL SALES PRICE OF ANY TRACTS WHICH REQUIRE A SURVEY WILL BE ADJUSTED UP OR DOWN PROVIDED THE ACTUAL SURVEY SHOWS A VARIANCE IN THE NUMBER OF ACRES. 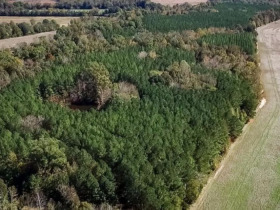 THE SALES PRICE ADJUSTMENT WILL BE CALCULATED ON A PER ACRE BASIS ACCORDING TO THE SALES PRICE PER ACRE SHOWN IN THE PURCHASE AGREEMENT, EXCEPT TRACTS WHICH CONTAIN A RESIDENCE. SEE SPECIFIC TERMS. 8. ANY SURVEY COST WILL BE PAID ½ BY SELLER AND ½ BY PURCHASER. 9. DEED CONVEYANCE WILL BE A TRUSTEE’S DEED. 10. A 10% BUYER’S PREMIUM WILL BE ADDED TO THE FINAL BID ON THE REAL ESTATE TO DETERMINE THE TOTAL SELLING PRICE AND CONTRACT PRICE. 11. 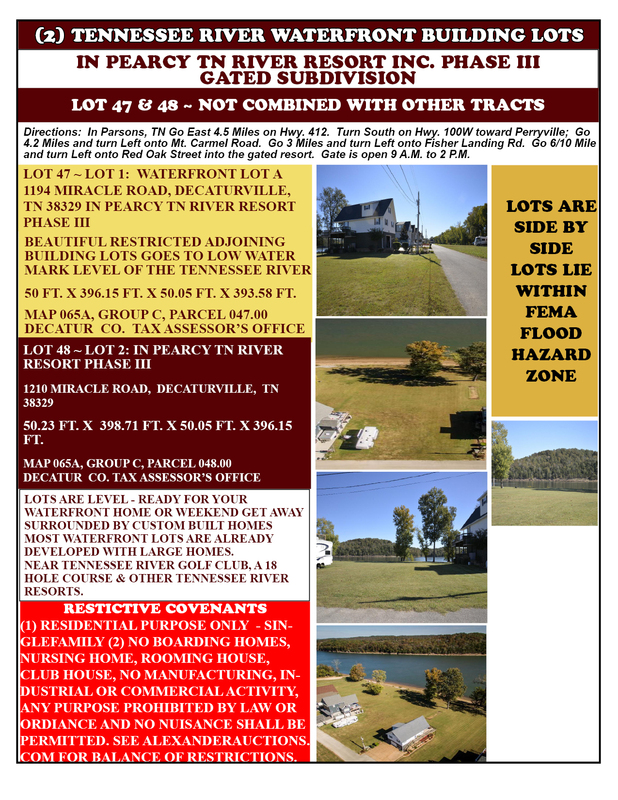 TERMS: 15% DOWN DAY OF AUCTION WITH A MINIMUM OF $500.00 ON ANY TRACT, PAYABLE IN CASH, CASHIER’S CHECK, OR PERSONAL CHECK WITH CURRENT BANK LETTER OF GUARANTY MADE TO ALEXANDER AUCTIONS AND REAL ESTATE SALES REQUIRED BY ALL PERSONS NOT PERSONALLY KNOWN BY AUCTION COMPANY. 12. CLOSING DATE TO BE ON OR BEFORE DECEMBER 29TH, 2017. 13. OTHER CONDITIONS: BUYER(S) MUST BE PREPARED TO MAKE A CASH OFFER. THERE ARE NO CONTINGENCIES TO THIS SALE (I.E., FINANCING, APPRAISAL, REPAIRS, OR INSPECTIONS). THEREFORE, YOU SHOULD BE PRE-QUALIFIED BY A LENDER PRIOR TO BIDDING IF YOU REQUIRE FINANCING. THIS PROPERTY IS BEING SOLD FOR CASH “AS-IS, WHERE-IS” WITH A CLOSING DEADLINE. 14. PURCHASERS SHOULD CONTACT THEIR ATTORNEY TO COMPLETE THEIR TITLE OPINION IMMEDIATELY FOLLOWING THE AUCTION. PURCHASE AGREEMENT DOES NOT PROVIDE FOR AN EXTENSION DUE TO AN ATTORNEY FAILING TO COMPLETE TITLE WORK OR YOUR LOAN CLOSING NOT BEING SET UP IN TIME TO MEET THE THIRTY (30) DAY CLOSING PERIOD. CONTACT YOUR ATTORNEY IMMEDIATELY! 15. FAILURE TO PAY THE BALANCE DUE WILL REQUIRE PURCHASER TO FORFEIT THEIR EARNEST MONEY AND BECOME SUBJECT TO ALL TERMS IN THE PURCHASE AGREEMENT. 16. SELLER TO PAY 2017 TAXES. 17. PURCHASERS TO ASSUME THE 2018 TAXES. 18. PURCHASER TO PAY ANY ROLL BACK TAXES THAT MAY BECOME DUE. 19. POSSESSION OF PROPERTY WILL BE GIVEN AT CLOSING. 20. ALEXANDER AUCTIONS AND REAL ESTATE SALES AND ALL AGENTS WORKING AT THIS AUCTION ARE ACTING AS AN AGENT FOR THE SELLER. 21. NO ONE SHOULD MAKE A BID THAT HE/SHE DOES NOT WANT TO HONOR OR IS NOT FINANCIALLY ABLE TO HONOR. 22. NO PURCHASE IS CONTINGENT ON FINANCING, APPRAISALS, PROPERTY INSPECTIONS OR ANY OTHER CONTINGENCIES. 23. ANY INFORMATION SUPPLIED IN THE TERMS AND CONDITIONS CONCERNING THE PROPERTY INFORMATION AND TAX AMOUNTS ARE SUPPLIED TO ACCOMMODATE THE PURCHASER(S). IT IS THE PURCHASER’S SOLE RESPONSIBILITY TO HAVE COMPLETED THEIR OWN DUE DILIGENCE SURVEY, RESEARCH, INSPECTION, CHECKING AND BID ACCORDING TO THEIR DUE DILIGENT SURVEY AND RESEARCH. 24. PROPERTY SELLS SUBJECT TO EXISTING EASEMENTS AND SUBJECT TO ANY RECORDED EASEMENTS. 25. 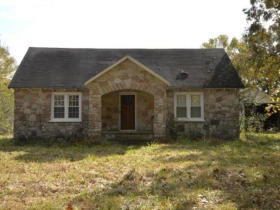 PROPERTY SELLS SUBJECT TO ANY CITY, COUNTY, OR STATE ZONING RESTRICTIONS THAT EXIST. 26. 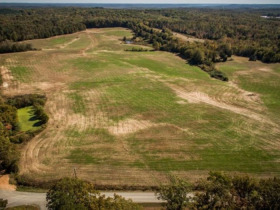 THE OWNERS, SELLERS AND SALES MANAGEMENT HAVE NOT HAD OR REQUESTED ANY PERK TEST OR SOIL CLASSIFICATION INSPECTIONS TO BE COMPILED BY THE GROUND AND WATER PROTECTION AGENCY OR ANY SOIL SCIENTIST TO DETERMINE THE APPROVAL OR REQUIREMENTS FOR SEPTIC TANKS OR SEPTIC LINES FOR ANY OF THE TRACTS. 27. 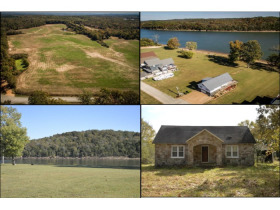 PURCHASER(S) SHALL BE RESPONSIBLE FOR CONTACTING THE DECATUR AND HENDERSON COUNTY GROUND AND WATER PROTECTION AGENCY AND/OR AN APPROVED SOIL SCIENTIST TO OBTAIN A SOIL ANALYSIS AND APPROVAL FOR A SEPTIC SYSTEM. ALEXANDER AUCTIONS AND THE SELLERS MAKE NO WARRANTY OR GUARANTY AS TO SOIL TYPES AND SOIL APPROVAL FOR A SEPTIC/SEWAGE SYSTEM. 28. 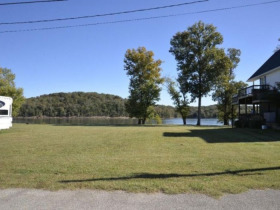 ALEXANDER AUCTIONS AND THE SELLER HAVE NO KNOWLEDGE ABOUT THE EXISTENCE OR NON EXISTENCE OF A SEPTIC SYSTEM ON ANY TRACT INCLUDING THE HOUSE TRACTS. 29. AUCTIONEER AND BROKER IS NOT AN EXPERT IN DETERMINING ENVIRONMENTAL HAZARDS AND HAZARDOUS MATERIAL. PURCHASER ACCEPTS THIS PROPERTY IN ITS PRESENT CONDITION AND AGREES TO HOLD HARMLESS THE BROKER, HIS AGENTS AND ALEXANDER AUCTIONS AND REAL ESTATE SALES FROM ANY ENVIRONMENTAL HAZARDS AND THE COST TO DEFEND HIMSELF, HIS AGENTS OR ALEXANDER AUCTIONS AND REAL ESTATE SALES FROM ANY CLAIMS. 30. PURCHASER HAS HAD THE OPPORTUNITY TO INSPECT THE PROPERTY AND WILL MAKE ALL BIDS AND PURCHASE SAID PROPERTY AS A RESULT OF THEIR INSPECTION. 31. PROPERTY AND IMPROVEMENTS ARE BEING SOLD IN THEIR PRESENT CONDITION “AS IS”. NO IMPROVEMENTS WILL BE MADE. THERE ARE NO WARRANTIES OR GUARANTEES EXPRESSED OR IMPLIED AS TO CONDITION OR FITNESS FOR USE. THE WARRANTIES OF HABITABILITY AND FITNESS FOR A PARTICULAR PURPOSE AND PARTICULAR USE ARE EXPRESSLY EXCLUDED. 32. THE PURCHASER DOES HEREBY ACKNOWLEDGE THAT THE SUBJECT PROPERTY IS PURCHASED AT PUBLIC AUCTION, AND THAT A PREREQUISITE TO BIDDING IS THAT ALL PROPERTY, WHETHER REAL ESTATE OR PERSONAL, IS PURCHASED ABSOLUTELY “AS IS” WITH NO WARRANTY WHATSOEVER AS TO THE CONDITION OF THE SAME. 33. ALL TIE BIDS WILL BE SETTLED FROM THE AUCTION STAND BY THE AUCTIONEER AND HIS DECISION WILL BE FINAL. THE AUCTIONEER WILL HAVE THE RIGHT TO RE-OPEN THE BID BETWEEN ALL BIDDERS. 34. AUCTIONEER AND SALES MANAGEMENT RESERVE THE RIGHT TO EXECUTE ANY ABSENTEE OR OTHER BIDS THAT ARE TURNED IN TO THEM BEFORE THE AUCTION, ONLINE, AND BY PHONE DURING THE AUCTION. 35. ALEXANDER AUCTIONS AND REAL ESTATE SALES WILL NOT BE RESPONSIBLE FOR ANY MISSED BIDS OR UNEXECUTED BIDS FROM ANY SOURCE. 36. 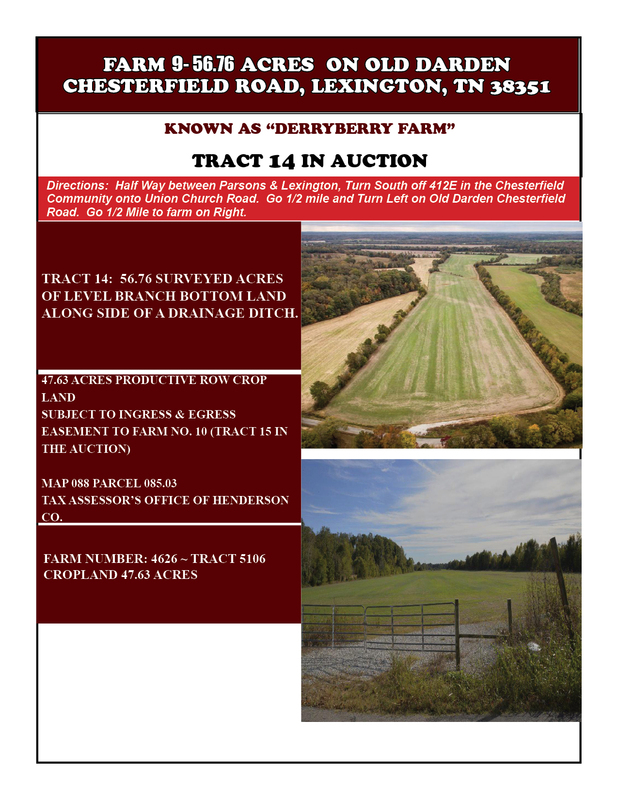 ALL INFORMATION USED IN THE ADVERTISING AND PROMOTION OF THIS AUCTION HAS BEEN OBTAINED FROM PUBLIC RECORDS AND OTHER SOURCES DEEMED TO BE RELIABLE AND ARE BELIEVED TO BE TRUE AND CORRECT. NO WARRANTIES ARE MADE TO THIS EFFECT. 37. PROPERTY IS BEING SOLD SUBJECT TO THESE TERMS AND ANY OTHER TERMS ANNOUNCED AT THE AUCTION. THESE TERMS WILL BE INCORPORATED INTO THE PURCHASE AGREEMENT FOR FUTURE REFERENCE. 38. AUCTION WILL BE HELD AS A MULTI-PAR AUCTION (SEE EXHIBIT 4) WHICH IS ATTACHED. 39. ALL BIDDERS AGREE THAT ANY BIDS THEY MAKE WILL STAND AND REMAIN ACTIVE UNTIL THE AUCTION IS COMPLETED. ALL BIDDERS AGREE TO REMAIN ON-SITE EVEN IF THEIR BID IS RAISED DURING THE AUCTION PROCESS. 40. A MULTI-PAR AUCTION MEANS THE TRACTS WILL BE OFFERED INDIVIDUALLY, IN COMBINATIONS, AND AS A WHOLE. 41. 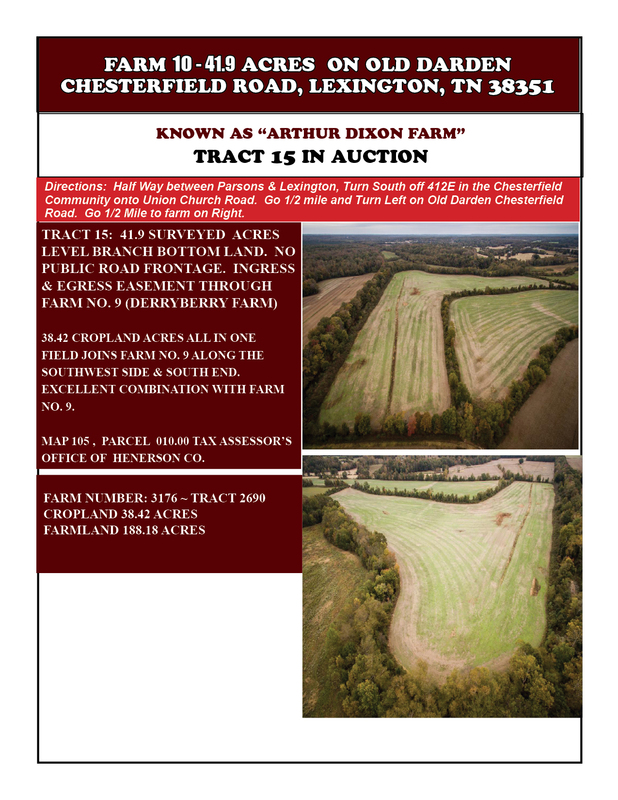 ANY FARM OR ANY TRACT MAY BE OFFERED MANY TIMES FOR RAISES OR NEW COMBINATIONS. 42. 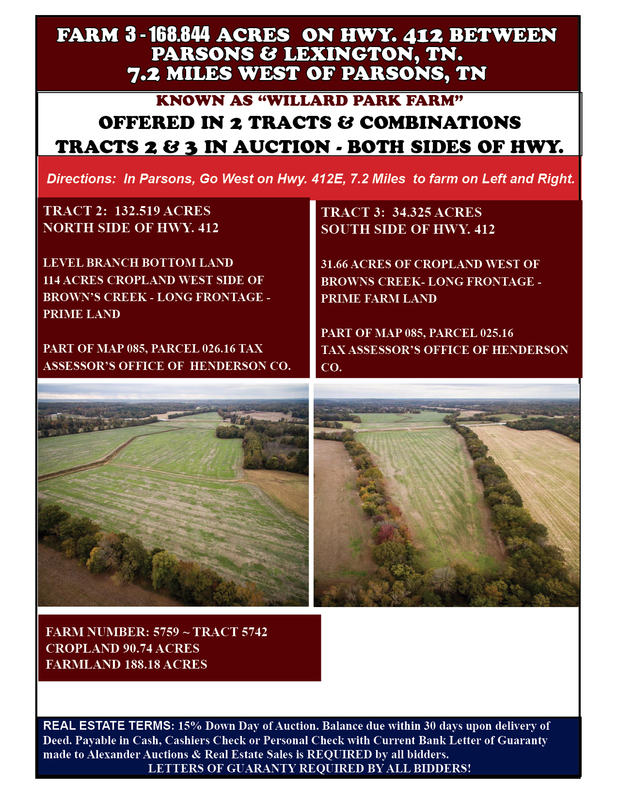 IT IS POSSIBLE FOR A BIDDER TO BE IN THE WINNING POSITION ON A TRACT OR COMBINATION OF TRACTS AND YOUR BID MAY BE RAISED INDIVIDUALLY OR IN A COMBINATION WHICH WOULD PUT YOU OUT OF THE WINNING POSITION, HOWEVER, NEW BIDS MAY BE RECEIVED ON INDIVIDUALY OR COMBINATIONS WHICH WOULD PUT YOU BACK INTO THE WINNING POSITION. 43. IF COMBINATIONS ARE MADE OR IF ALL TRACTS ARE COMBINED INTO ONE COMBINATION TRACT, THE BIDDING WILL CONTINUE ON COMBINATIONS TO REACH THE HIGHEST BID. WHEN THE BIDDING ENDS THE TOTAL BIDS WILL BE ENTERED IN THE COMPUTER AS A WINNING POSITION. THE TRACTS WILL THEN BE OFFERED INDIVIDUALLY AND AS COMBINATIONS AGAIN TO ALLOW ANY BIDDER TO INCREASE THEIR BIDS. 44. 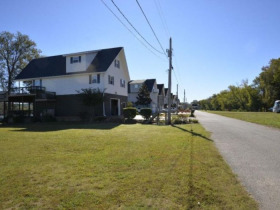 IF BIDS ARE RAISED ON INDIVIDUAL LOTS AND COMBINATION OF LOTS THAT EXCEED ANY PREVIOUS TOTAL BIDS, THE PROPERTY WILL BE OFFERED IN ITS ENTIRETY. THE PROCESS CONTINUES UNTIL NO MORE BIDS ARE RECEIVED. 45. ALL BIDDERS ON SITE, ON LINE, AND OFF-SITE AGREE TO ACCEPT THESE GENERAL TERMS AND RULES STATED IN THE ATTACHED MULTI-PAR AUCTION RULES. (SPECIFIC TERMS, ON-LINE AND OFF-SITE BIDDER TERMS AND ANY TERMS ANNOUNCED AT THE AUCTION); EVIDENCED BY REGISTRY FOR A BIDDERS NUMBER. 46. ON-LINE AND OFF-SITE BIDDING IS ALLOWED TO PRE-APPROVED BIDDERS THROUGH ALEXANDER AUCTIONS AND REAL ESTATE SALES. 47. ON-LINE AND OFF-SITE MUST REVIEW THE GENERAL TERMS, SPECIFIC TERMS AND ADDITIONAL ON-LINE AND OFF-SITE TERMS, AND ANNOUNCEMENTS MADE FROM THE AUCTION STAND. 48. ALL ANNOUNCEMENTS MADE FROM THE AUCTION STAND WILL TAKE PRECEDENCE OVER ANY PREVIOUS ANNOUNCEMENTS OR STATEMENTS. 49. TECHNICAL ISSUES: IN THE EVENT THERE ARE TECHNICAL DIFFICULTIES RELATED TO THE SERVER, SOFTWARE, INTERNET OR ANY OTHER ON-LINE AUCTION-RELATED TECHNOLOGIES, ALEXANDER AUCTIONS AND REAL ESTATE SALES RESERVES THE RIGHT TO EXTEND BIDDING, CONTINUE THE BIDDING OR CLOSE THE BIDDING. NEITHER THE COMPANY PROVIDING THE SOFTWARE, NOR ALEXANDER AUCTIONS AND REAL ESTATE SALES, SHALL BE HELD RESPONSIBLE FOR THE FAILURE OF THE SOFTWARE TO FUNCTION PROPERLY FOR ANY REASON. SPECIAL NOTE: JEFF ARNOLD OWNS THE CULVERT & A GREEN GRASSY AREA IN FRONT OF A PORTION OF THE CENTER SECTION OF THE TRACT. FARMERS HAVE BEEN ENTERING THE GABBARD LAND OVER JEFF’S CULVERT. SURVEY DESCRIPTION ON TRACT 9, 37.2 ACRES EAST OF MOUNT ARARAT ROAD. NO SURVEY NEEDED ON TRACT 9. 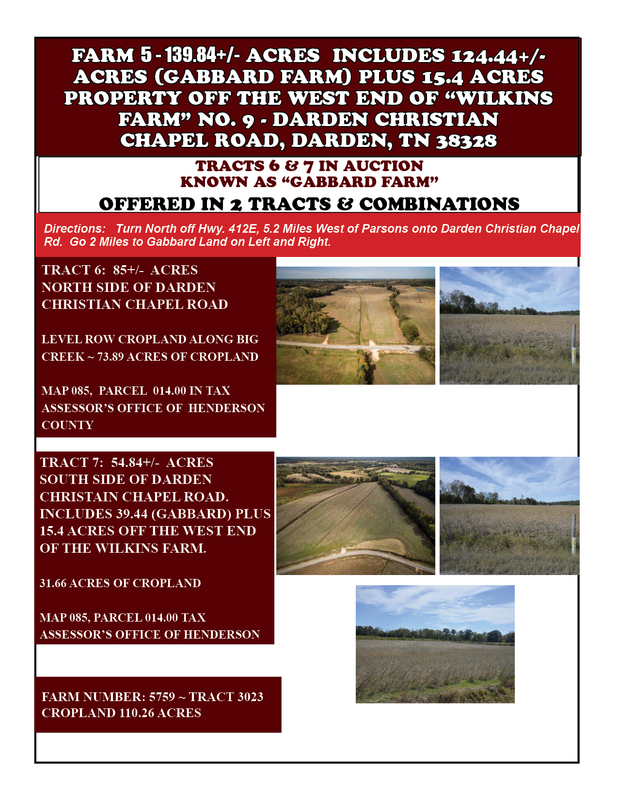 SURVEY MAY BE NEEDED ON TRACT 10 IN AUCTION, WEST OF MOUNT ARARAT ROAD. SURVEY DESCRIPTION: NO SURVEY NEEDED, PROVIDED TRACTS 11, 12 AND 13 SELL TOGETHER. 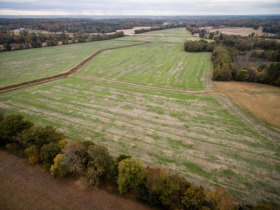 SURVEY NEEDED IF FARM SELLS IN DIFFERENT TRACTS. 1. ALL BIDDERS ON-SITE, ON-LINE, AND OFF-SITE AGREE TO ACCEPT THE GENERAL AND SPECIFIC TERMS PLUS THESE TERMS AND RULES STATED IN THE ATTACHED MULTI-PAR AUCTION RULES. (SPECIFIC TERMS, ON-LINE AND OFF-SITE BIDDER TERMS AND ANY TERMS ANNOUNCED AT THE AUCTION) EVIDENCED BY REGISTRY FOR A BIDDER NUMBER. 2. ALL BIDDERS MUST BE APPROVED PRIOR BY ALEXANDER AUCTIONS & REAL ESTATE SALES. 3. AT THE CLOSE OF THE AUCTION, THE SUCCESSFUL ON-LINE OR OFF-SITE BIDDER WILL BE EMAILED A SALES AND PURCHASE AGREEMENT TO BE EXECUTED AND RETURNED TO ALEXANDER AUCTIONS AND REAL ESTATE SALES WITHIN 48 HOURS OF COMPLETION OF THE AUCTION ALONG WITH THE EARNEST MONEY DEPOSIT. 4. 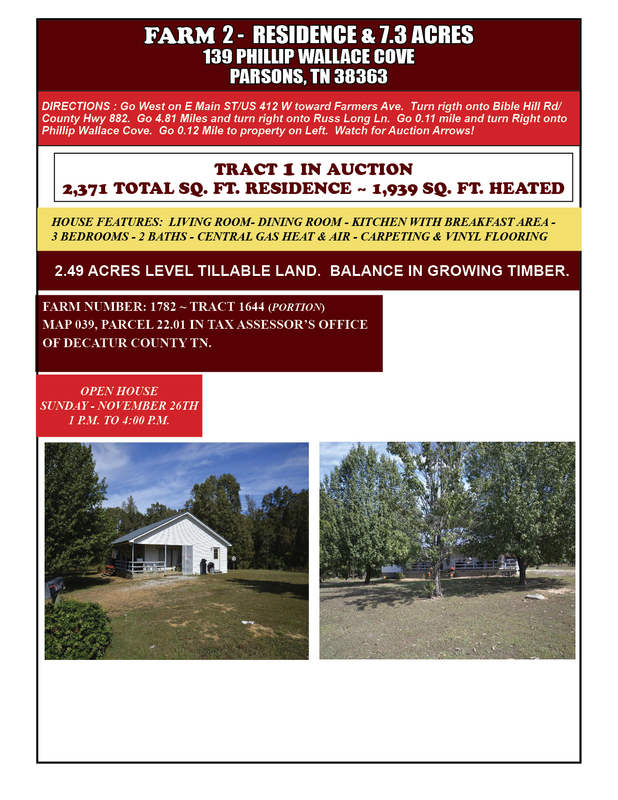 THE SUCCESSFUL BIDDER IS REQUIRED TO MAKE AN EARNEST MONEY DEPOSIT ACCORDING TO THE GENERAL TERMS: 15% DOWN DAY OF AUCTION WITH A MINIMUM OF $500.00 FOR ANY TRACTS. 5. EARNEST MONEY PAYABLE BY CASH, CASHIERS CHECK OR PERSONAL CHECK WITH CURRENT BANK LETTER OF GUARANTEE MADE TO ALEXANDER AUCTIONS AND REAL ESTATE SALES REQUIRED BY ALL PERSONS NOT PERSONALLY KNOWN BY AUCTION COMPANY TO ALEXANDER AUCTIONS AND REAL ESTATE ESCROW. NO CREDIT CARD PAYMENTS ACCEPTED. 6. CLOSING DATE: BALANCE DUE ON OR BEFORE DECEMBER 29TH, 2017. 7. FAILURE TO PAY THE BALANCE DUE WILL REQUIRE YOU TO FORFEIT YOUR EARNEST MONEY AND BE SUBJECT TO ALL TERMS STATED IN THE PURCHASE AGREEMENT. 8. LIQUIDATED DAMAGES: SUCCESSFUL BIDDERS NOT EXECUTING AND RETURNING THEIR PURCHASE AGREEMENT ALONG WITH EARNEST MONEY DEPOSIT WITHIN FORTY EIGHT (48) HOURS OF THE CONCLUSION OF THE AUCTION WILL BE CONSIDERED IN DEFAULT. IF YOUR CLOSING IS DELAYED FOR ANY REASON, BY YOU, AS PURCHASER, OR OTHER PARTIES WORKING ON YOUR BEHALF, INCLUDING ANY LENDER YOU INVOLVE, YOU MAY BE DECLARED IN BREACH OF THIS CONTRACT, FORFEIT ALL DEPOSITS MADE AND COULD ADDITIONALLY BE LIABLE FOR ANY AND ALL COST INCURRED BY SELLER AND ALEXANDER AUCTIONS AND REAL ESTATE SALES INCURRED IN A SUBSEQUENT RESALE OF THE PROPERTY. IF SUCH ACTION OCCURS, ALEXANDER AUCTIONS AND REAL ESTATE SALES HEREBY HAS THE RIGHT TO DISPERSE THE DEPOSIT AS STATED IN THE LISTING AGREEMENT AND THE BUYER HAS NO CLAIMS TO SUCH MONEY OR PROPERTY BEING SOLD. LIQUIDATED DAMAGES ARE TO COVER COST OF AUCTION, COST INCURRED BY SELLER, LABOR COST AND ADDITIONAL COST OF AUCTION AS NOT DEFINED IN THIS AGREEMENT. THESE LIQUIDATED DAMAGES DO NOT RESTRICT THE SELLER FROM SUING THE BUYER FOR PERFORMANCE DAMAGES AND/OR ANY ADDITIONAL DAMAGES THE SELLER SUFFERS BY THE DEFAULT OF THE BUYER. 9. BACK-UP BIDS: IF YOU ARE NOT THE SUCCESSFUL BIDDER ON THE REAL ESTATE AND WISH TO MAKE A BACK-UP BID IN CASE OF DEFAULT BY THE HIGH BIDDER, PLEASE SEE ALEXANDER AUCTIONS AND REAL ESTATE SALES TO RECEIVE A BACK-UP BIDDER FORM. 10. ALEXANDER AUCTIONS AND REAL ESTATE SALES RESERVES THE RIGHT TO REMOVE OR CANCEL THE BIDS AND OR BIDDING RIGHTS AND PRIVILEGES OF ANY PARTY AT ANY TIME DEEMED NOT TO BE IN THE BEST INTEREST OF THE SELLER. THE IDENTITY OF ALL BIDDERS WILL BE VERIFIED, BIDDING RIGHTS ARE PROVISIONAL, AND IF COMPLETE VERIFICATION IS NOT POSSIBLE, ALEXANDER AUCTIONS AND REAL ESTATE SALES WILL REJECT THE REGISTRATION, AND BIDDING ACTIVITY WILL BE TERMINATED. 11.  ALEXANDER AUCTIONS AND REAL ESTATE SALES INVOLVEMENT IN THIS CONTRACT: THE SELLER AND BUYER HEREBY AGREE THAT ALEXANDER AUCTIONS AND REAL ESTATE SALES IS A PART OF THIS CONTRACT AND SHALL RECEIVE COMPENSATION AS STATED IN THE AGREEMENT HERETO OR AS STATED IN THE LISTING AGREEMENT HEREBY MADE A PART OF. 12. PROPERTY AND IMPROVEMENTS ARE BEING SOLD IN THEIR PRESENT CONDITION. NO IMPROVEMENTS WILL BE MADE. THERE ARE NO WARRANTIES OR GUARANTEES EXPRESSED OR IMPLIED AS TO CONDITION OR FITNESS FOR A PARTICULAR PURPOSE OR PARTICULAR USE. 13. PURCHASER TO MAKE THEIR OWN INSPECTION OF THE BUILDINGS, STRUCTURE, LOTS, AND LAND AND BID ACCORDING TO THEIR INSPECTION AND DUE DILIGENCE RESEARCH. 14. ALL REAL ESTATE SELLS SUBJECT TO ANY AND ALL EXISTING MATTER OF RECORD AND ALL EASEMENTS, CITY, COUNTY AND STATE, BUILDING, USE OR ZONING LAWS AND RESTRICTIONS. 15. PURCHASER(S) ARE INFORMED THAT THE SELLERS AND ALEXANDER AUCTIONS AND REAL ESTATE SALES ARE NOT EXPERTS OR QUALIFIED TO OFFER ANY INFORMATION CONCERNING ENVIRONMENTAL HAZARDS, ASBESTOS HAZARDS, LEAD BASE PAINT AND ETC. AND MAKE NO WARRANTY, GUARANTEE OR STATEMENTS IN CONNECTION WITH SUCH. 16. AUCTIONEER AND BROKER IS NOT AN EXPERT IN DETERMINING ENVIRONMENTAL HAZARDS AND HAZARDOUS MATERIAL. PURCHASER ACCEPT THIS PROPERTY IN ITS PRESENT CONDITION, AGREE TO HOLD HARMLESS THE BROKER, HIS AGENTS AND ALEXANDER AUCTIONS AND REAL ESTATE SALES FROM ANY ENVIRONMENTAL HAZARDS AND THE COST TO DEFEND HIMSELF, HIS AGENTS OR ALEXANDER AUCTIONS AND REAL ESTATE SALES FROM ANY CLAIMS. 17. PURCHASER HAS HAD THE OPPORTUNITY TO INSPECT THE PROPERTY AND AGREES TO MAKE ALL BIDS AND PURCHASE SAID PROPERTY AS A RESULT OF THEIR INSPECTION. 18. ALEXANDER AUCTIONS AND REAL ESTATE SALES AND ALL AGENTS ARE ACTING AS AN AGENT FOR THE SELLERS. 19. ANY REAL ESTATE TERMS AND INFORMATION SUPPLIED IN THE TERMS AND CONDITIONS CONCERNING TAX AMOUNTS AND OTHER INFORMATION ARE SUPPLIED TO ACCOMMODATE THE PURCHASER(S). IT IS THE PURCHASER’S SOLE RESPONSIBILITY TO HAVE COMPLETED THEIR OWN DUE DILIGENCE SURVEY, RESEARCH, INSPECTION AND CHECKING AND SHALL BID ACCORDING TO THEIR RESEARCH. 20. ADDITIONAL AUCTION INFORMATION: ALL INFORMATION PUBLISHED, ANNOUNCED OR CONTAINED HEREIN WAS DERIVED FROM SOURCES BELIEVED TO BE CORRECT; HOWEVER, IT IS NOT GUARANTEED BY THE SELLER OR THE AUCTIONEERS. PERSONAL ON-SITE INSPECTION OF ALL PROPERTY IS RECOMMENDED. THE FAILURE OF ANY BIDDER TO INSPECT, OR TO BE FULLY INFORMED AS TO THE CONDITION OF THE PROPERTY, WILL NOT CONSTITUTE GROUNDS FOR ANY CLAIM OR DEMAND FOR ADJUSTMENT OR WITHDRAWAL OF BID, OFFER OR DEPOSIT MONEY AFTER ITS OPENING TENDER. THIS INCLUDES BUT IS NOT LIMITED TO PUBLIC INFORMATION SUCH AS EASEMENTS, RESTRICTIONS, ZONING, RIGHT-OF-WAYS, OR ANY OTHER INFORMATION THAT CEN BE OBTAINED AS PUBLIC RECORD IN THE APPROPRIATE COUNTY COURT HOUSE CONCERNING SUBJECT PROPERTIES. 21. TECHNICAL ISSUES: IN THE EVENT THERE ARE TECHNICAL DIFFICULTIES RELATED TO THE SERVER, SOFTWARE, INTERNET OR ANY OTHER ON-LINE AUCTION-RELATED TECHNOLOGIES, ALEXANDER AUCTIONS AND REAL ESTATE SALES RESERVES THE RIGHT TO EXTEND BIDDING, CONTINUE THE BIDDING OR CLOSE THE BIDDING. NEITHER THE COMPANY PROVIDING THE SOFTWARE, NOR ALEXANDER AUCTIONS AND REAL ESTATE SALES, SHALL BE HELD RESPONSIBLE FOR THE FAILURE OF THE SOFTWARE TO FUNCTION PROPERLY FOR ANY REASON. 22. ALL INFORMATION USED IN THE ADVERTISING AND PROMOTION OF THIS AUCTION HAS BEEN OBTAINED FROM PUBLIC RECORDS AND OTHER SOURCES DEEMED TO BE RELIABLE AND ARE TO BE TRUE AND CORRECT. NO WARRANTIES ARE MADE TO THIS EFFECT. 23. PROPERTY IS BEING SOLD SUBJECT TO THESE TERMS WHICH WILL BE INCORPORATED INTO THE SALES CONTRACT FOR FUTURE REFERENCE. WE APPRECIATE YOUR INTEREST IN THIS AUCTION AND WE WILL BE GLAD TO ANSWER ANY QUESTIONS YOU MAY HAVE. 1. ALL BIDDERS AGREE TO REMAIN AT THE AUCTION UNTIL ALL LOTS ARE EITHER DECLARED SOLD INDIVIDUALLY OR IN COMBINATIONS OR THE SALE OF ANY OR ALL TRACTS ARE REJECTED. 2. ALL BIDS ARE TO REMAIN ACTIVE AND LIVE THROUGHOUT AUCTION. 3. ALL LOTS WILL BE OFFERED INDIVIDUALLY, IN COMBINATIONS, AND AS A WHOLE. 4. 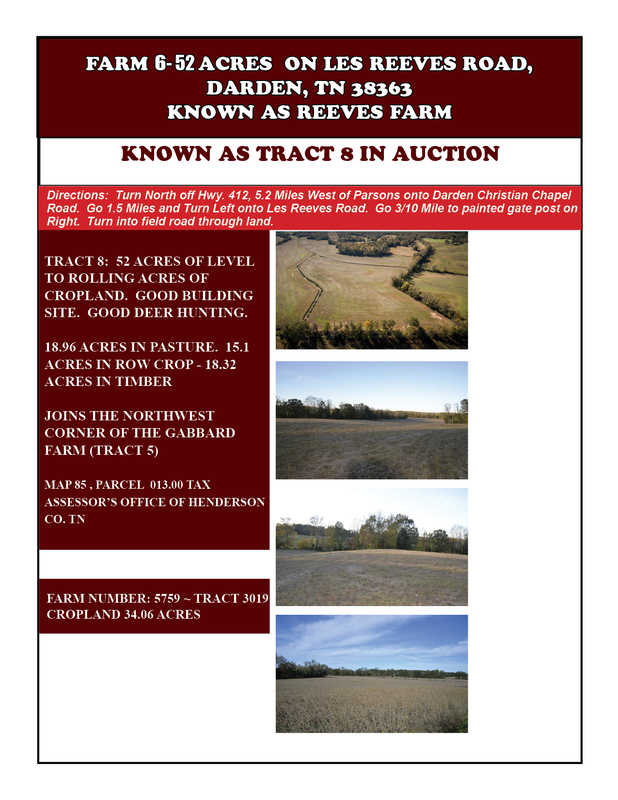 PURCHASER(S) CAN BID ON ANY COMBINATION OF TRACTS. 5. 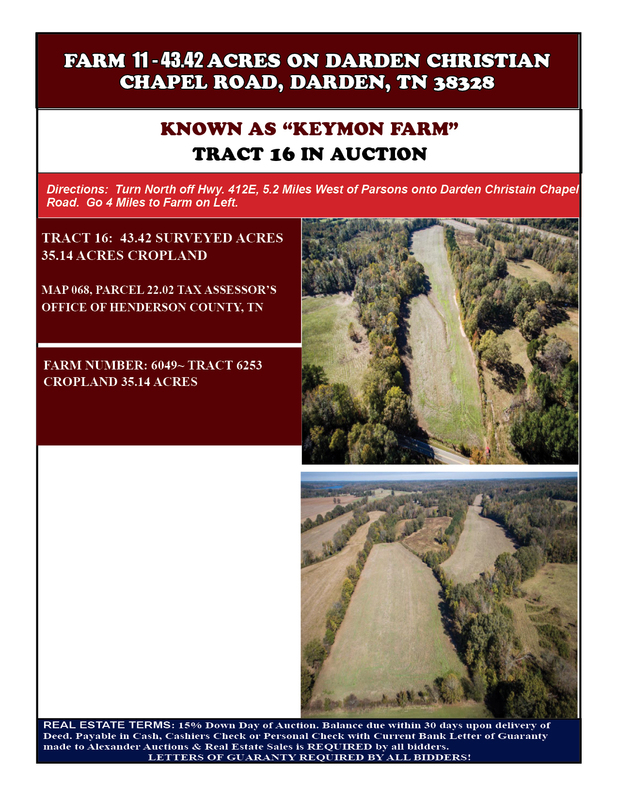 PURCHASER(S) SHALL BE ALLOWED TO BID ON ANY TRACT WHEN THEY ARE OFFERED INDIVIDUALLY OR AT ANY TIME THEREAFTER, REGARDLESS IF THEY ARE INVOLVED IN A COMBINATION OR NOT UNTIL THE END OF THE AUCTION. 6. A BIDDER COULD BE PUT OUT OF THE WINNING POSITION BY A COMBINATION BID OR RAISED INDIVIDUAL BIDS AND THEN A BIDDER CAN COME BACK INTO THE WINNING POSITION WHEN SOMEONE ELSE RAISES OTHER LOTS OR OTHER COMBINATION BIDS ARE MADE. 7. MINIMUM BID RAISES TO MAKE A NEW COMBINATION OF LOTS SHALL BE AT LEAST $500.00 OR 2% WHICHEVER IS GREATER. 9. A BIDDER CAN BID AND RAISE THE SALES PRICE ON ANY INDIVIDUAL LOT LISTED ON THE BOARD OR ANY COMBINATION LISTED ON THE BOARD AT ANY TIME AFTER THEY ARE OFFERED INDIVIDUALLY EVEN THOUGH THE AUCTIONEER MAY NOT BE ASKING FOR A BID ON THAT PARTICULAR LOT. THESE BIDS MAY BE LESS THAN THE MINIMUM RAISE STATED ABOVE BECAUSE THIS IS CONSIDERED TO BE HEADS UP BIDDING AND EACH INDIVIDUAL HAS THE SAME OPPORTUNITY. 10. TO MAKE A BID AND RAISE A BID AS STATED IN THE PREVIOUS NUMBER TURN YOUR BID INTO ONE OF THE RING PERSONNEL ALONG WITH YOUR BIDDER NUMBER SO THEY CAN BE ENTERED AND RECORDED. 11. THE COMPUTER WILL CALCULATE ALL INDIVIDUAL BIDS AND COMBINATION BIDS ARE IN THE WINNING POSITION DURING THE AUCTION. WHEN SOMEONE MAKES A HIGHER BID ON ALL THE LOTS AND ACREAGE AND THE BIDDING CEASES, THAT BID IS ENTERED IN THE COMPUTER. 12. THE AUCTIONEER WILL THEN ASK FOR RAISES ON INDIVIDUAL LOTS AND COMBINATIONS. WHEN INDIVIDUAL BIDS AND COMBINATION BIDS ARE RAISED AND THEY TOTAL MORE THAN THE TOTAL COMBINATION BID. ANYONE RAISING ALL THE LOTS AND ACREAGE MUST MAKE A BID ABOVE THE NEW TOTAL. WHEN THIS HAPPENS THE PROCESS STARTS ALL OVER. 13. IT IS POSSIBLE IN THIS AUCTION TO HAVE A TIE AMONG BIDDERS AT THE END OF THE AUCTION. IN THE EVENT NONE OF THE PURCHASERS WILL INCREASE THEIR BID, MARVIN E. ALEXANDER AND SELLERS SHALL MAKE THE DETERMINATION OF THE FINAL PURCHASER/PURCHASERS CONSIDERING THE TOTAL MONEY SPENT BY AN INDIVIDUAL AND/OR POSSIBLY THE TOTAL NUMBER OF LOTS PURCHASED. MULTIPLE BIDDERS OR BY ONE BIDDER, THE MULTI-PAR PROGRAM TRACKS EACH INDIVIDUAL BID AND EACH COMBINATION TO REACH THE HIGHEST TOTAL.